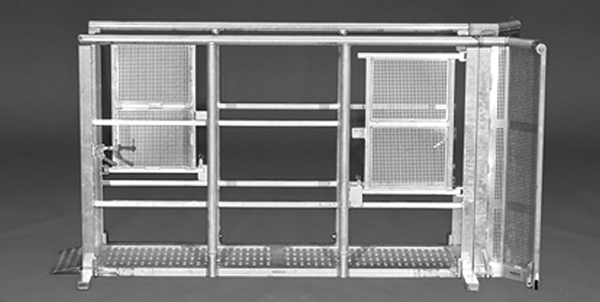 A modular gate system compatible with the Mojo system, the Line-Up gate is used for entrance ways at festivals, stadia, venues or other areas with large queuing crowds to manage their ingress. Gates can be placed at site entrances or ‘golden circle’ or ‘VIP areas’. The unique design includes areas suitable for security check points and ticket collection or scanning, while also ensuring the crowd enters the site in an controlled fashion. Each line has a locking gate that can be deployed when necessary and a raised platform for security personnel.